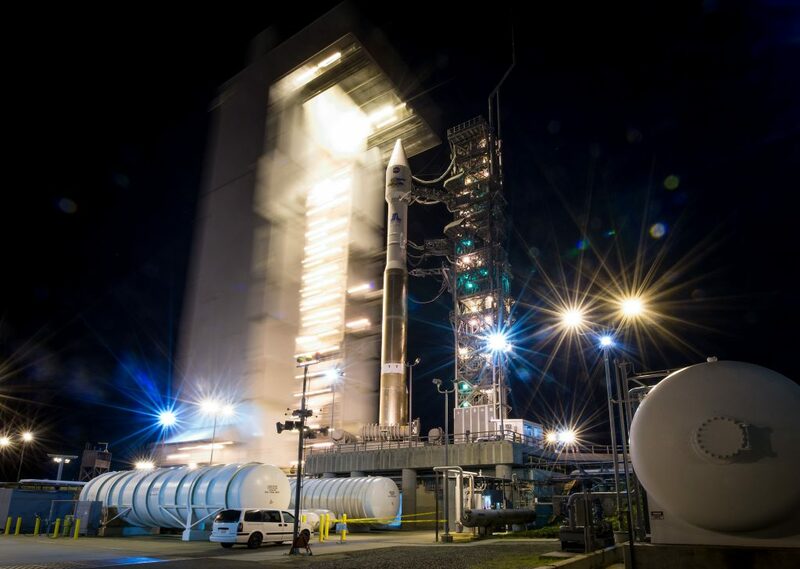 Resuming space launches from the U.S. Western Range at Vandenberg Air Force Base in California after a half-year infrastructure outage, an Atlas 5 rocket will boost a commercial Earth-imaging bird into orbit on Friday. Using the same United Launch Alliance Atlas 5 built and stacked on the pad for NASA’s now-delayed Mars InSight lander that was supposed to head for the Red Planet in March, the privately-owned and operated WorldView 4 spacecraft will ride the booster to a sun-synchronous polar orbit above Earth. Liftoff of the rocket, designated AV-062, is scheduled for 11:30 a.m. local (2:30 p.m. EDT; 1830 GMT) from Space Launch Complex 3-East on South Base. The available launch window extends 14 minutes. Weather forecasters say there is a 70 percent of acceptable conditions for launch. 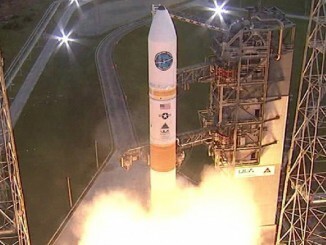 It will be the first orbital spaceflight that Vandenberg has hosted since a United Launch Alliance Delta 4 rocket deployed a clandestine National Reconnaissance Office spy satellite on Feb. 10. 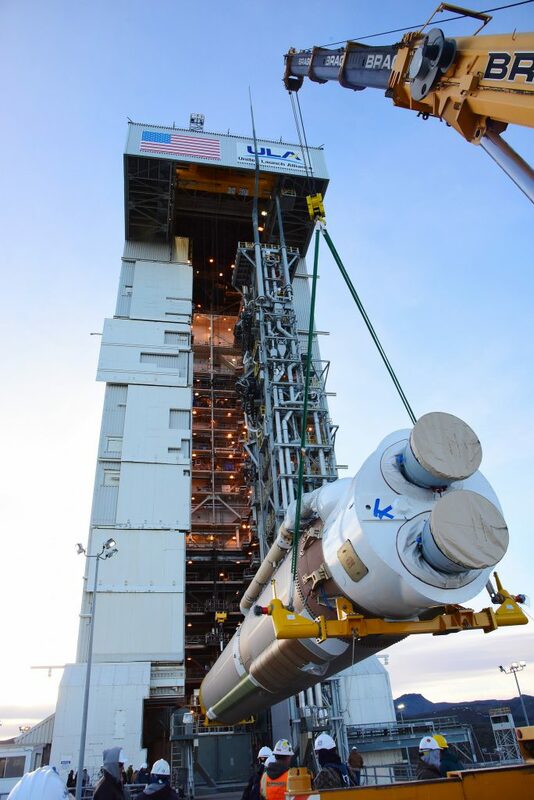 A lull with no launches formally booked on the Range allowed 1,100 pieces of critical equipment be unhooked and moved from one building to another in a total shutdown of the booster tracking network at Vandenberg. The relocation saw the Range data center, telemetry system and simulation center relocate from Building 7000 to Building 7025 to make way for a larger Air Force project to enhance the Joint Space Operations Center, the military’s global command and control facility, also based at Vandenberg. “Vacating Building 7000 has allowed the construction contractors to take over the entire building and start to construct the Joint Space Operations Center’s new home. Without the Range downtime, the systems in Building 7000 would not have been able to move into Building 7025 in such a short amount of time,” said Capt. Andrew Beckman, Space and Missile Systems Center range systems consolidation program manager. The Air Force-controlled Western Range provides the required safety, tracking and communications services for south-bound space boosters to polar orbit and military missile tests that fly across the Pacific. The Eastern Range at Cape Canaveral provides the same duties for rockets heading east to equatorial orbits. The shutdown began March 8 and formally concluded with the new Range center being accepted on Aug. 18. An unarmed Minuteman 3 intercontinental ballistic missile test was conducted on the Range last week. 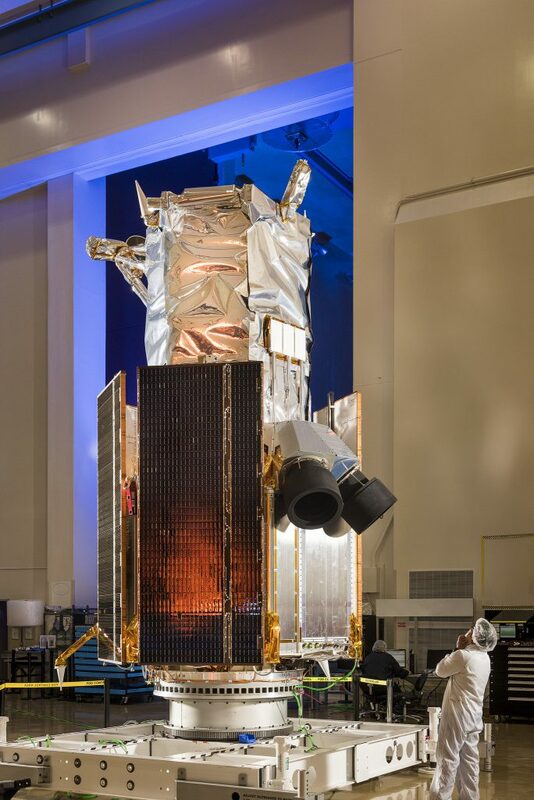 Friday’s launch is a purely commercial one for DigitalGlobe of Westminster, Colorado, the world’s leading seller of Earth-imagery from its fleet of orbiting satellites. All of its current spacecraft were launched from Vandenberg aboard ULA’s Delta 2 and Atlas 5 rockets. Lockheed Martin built the WorldView 4 satellite and is providing the management of launch services. United Launch Alliance built the Atlas 5 and will execute the flight for its clients. Preparations for the launch can be traced back to Dec. 16 when the first stage of the Atlas 5-401 rocket, the basic two-stage configuration of the vehicle with no strap-on solids, was erected on the SLC-3E pad. It was being readied to launch NASA’s Mars-bound InSight geophysical lander on March 4 to drill into the reddish ground to study how terrestrial planets form. But just days after the Atlas stage was placed on the pad, NASA was forced to postpone the InSight launch due to trouble with one of its key science instruments. Repairs would not be possible in time to launch within the tight planetary alignment window between Earth and Mars, scuttling the mission until the next opportunity that opens on May 5, 2018. With InSight and WorldView 4 using the same Atlas configuration, and the SLC-3E pad providing a good shelter for the vehicle within the mobile service gantry that mimics a building on wheels, the decision was made to simply swap payloads and keep the rocket on the pad. The Centaur upper stage as mounted atop the first stage and the 14-foot-diameter aluminum nose cone originally adorned with a hand-painted InSight logo was repainted with DigitalGlobe’s company logo. WorldView 4 was hoisted atop the rocket last week. It is encapsulated by the Atlas 5’s Long Payload Fairing, or LPF, an aluminum nose cone that measures 14 feet in diameter and 39 feet in length. The completed rocket stands 189 feet tall and will weigh about 720,000 pounds at launch, including the 5,479-pound payload. The launch countdown begins about eight hours before liftoff. Rollback of the gantry occurs five hours prior to flight, followed by the start of fueling with two hours to go. A final hold is scheduled when clocks hit the T-minus 4 minute mark. That will give the team a chance to finish any late work and assess the status of the rocket, payload, Range and weather before proceeding into the last moments of the countdown. Coming off the pad on 860,000 pounds of thrust from the RD-180 main engine, the rocket heads southward along an initial flight azimuth of 185.6 degrees, will hit Mach 1 in 79 seconds and pass through the region of maximum aerodynamic pressure at 94 seconds. After staging four minutes into flight, a single burn by the RL10C-1 powerplant on Centaur lasting 11 minutes will accelerate WorldView 4 into a 379 by 390 mile orbit tilted 97.96 degrees to the equator. Spacecraft separation is expected at 19 minutes and 16 seconds after liftoff. Later, the Centaur will maneuver into a different orbit and begin deploying a cache of seven cubesats two hours and 12 minutes after liftoff in a cooperative National Reconnaissance Office rideshare effort using the rocket’s excess performance. It will be the Atlas 5 rocket’s 66th flight and second in eight days following the OSIRIS-REx asteroid probe’s successful launch for NASA from Cape Canaveral last Thursday. 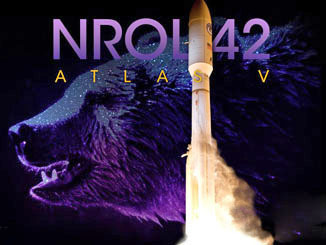 “Our Atlas rocket is ready to provide WorldView 4 a smooth ride and precise delivery into orbit,” said Steve Skladanek, president of Lockheed Martin Commercial Launch Services. This marks the 15th commercial launch by Atlas 5 since 2002 and the 19th commercial flight out of 112 missions performed by United Launch Alliance since 2006. 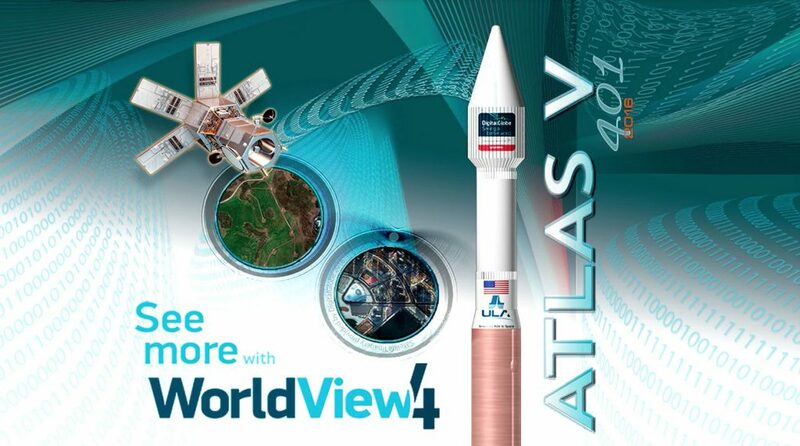 WorldView 4 will double DigitalGlobe’s capacity of best-in-the-industry, 31-centimeter high-resolution imagery. Joining sister-satellite WorldView 3 launched from Vandenberg two years ago, the duo can see objects as small as 1-foot-wide (31 cm) in panchromatic mode. 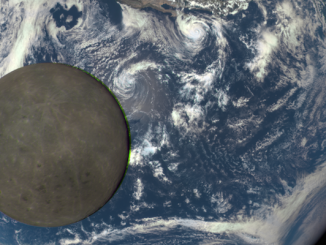 Both satellites also offer 4-foot resolution (1.24 m) in color imagery. The satellite was built by Lockheed Martin. Its imagery will go on sale early next year.